Earth Day – Get your Feet in Nature! Earth Day is April 22! Join Bubolz Nature Preserve as we work to inspire people of all ages to get their Feet in Nature by stepping outdoors for a hike, walk, run. Between April 12-May 4 we invite you to get your Feet in Nature by taking part in our virtual run, hike or walk in the great outdoors to support the environmental education programs and recreation opportunities at Bubolz. Participating in this virtual event is simple, you select the day, the distance, and the location that is perfect for you! Sign up between April 12-May 4 and then chose a day to run, hike or walk. 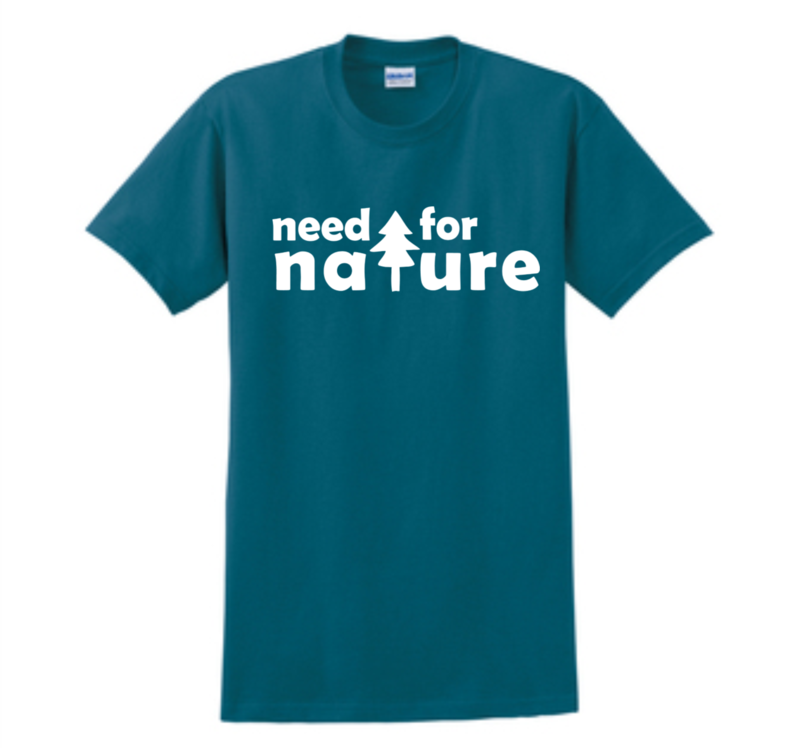 Every participant will receive one of our exclusive Need for Nature T-shirts. As a bonus if you choose to do your activity at Bubolz you can stop in the nature center and receive a free water bottle and snack! All T-shirts will be mailed to participants after May 4. By participating you are helping to create opportunities that will connect children and adults to nature and help to plant seeds for healthier lifestyles and a better planet and community. Adult – $30 – Your contribution will support year round education, recreation and the conservation of 750 acres. Children – $15 – Your contribution will support field trips, scout programs, summer camp and exploration. *Please note open times below if you are planning to stop in to pick up your water bottle and snack!